Is Mold Dangerous to Our Health? Virtually everyone is aware that it is important not to allow mold infestations to exist in our homes and workplaces. We know that there are health risks involved but not all of us are able to tell what these are. In the following blog item you’ll find info regarding the health concerns associated with long term, regular exposure to mold. It may very well compel you to make double certain that there are no Mold infestations in the buildings you spent long periods of time in. 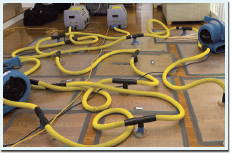 There are many different kinds of Mold, in fact there many times there is some Mold to be found in the air we breathe and on the surfaces we come into contact with. 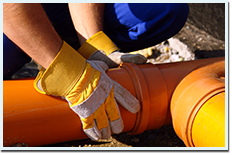 Mold is one of the major “garbage disposal mechanisms” of mother nature, most types of Mold have the potential to harm our health but only if our exposure to them exceeds certain limits. 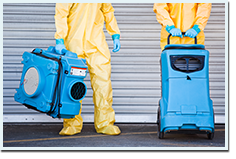 Mold infestations in buildings occur when a damp environment is allowed to exist for a prolonged period of time. Mold can grow on most kinds of surfaces, it requires little else than what can be gotten from the moisture but undoubtedly thrives better when decaying matter is also present. The type of Mold considered the most hazardous to human health is commonly referred to as “black Mold”, at least some such Mold is present in most cases of Mold infestations in homes, especially wooden homes. 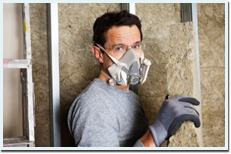 Exposure to Mold may cause a variety of health problems. Some people are more sensitive to Mold than others but everyone will eventually suffer some adverse affects. Among the most common symptoms to over exposure to Mold are respiratory related, nasal stuffiness, coughing, throat irritation and wheezing breath are some such symptoms. Other times air born Mold spores may cause irritation to the eyes and in more severe cases also to the skin. It is important to know that there are people who are allergic to Mold. With such people more severe reactions are common. People suffering from prior reparatory conditions (chronic lung disease for instance) may get infections in their lungs due to exposure to Mold.Another problem with exposure to Mold is the general weakening of the immune system. Such weakening may cause a myriad of health problems as it makes as susceptible to both viral and bacterial infections.If you have any reason to suspect the presence of a Mold infestation it is essential you call in a reliable restoration company, such as clearway restoration, to check out if this is true and take care of the situation.